I have been admiring a ton of cards recently that all feature feathers in one form or another. They really seem to be very trendy at the moment. 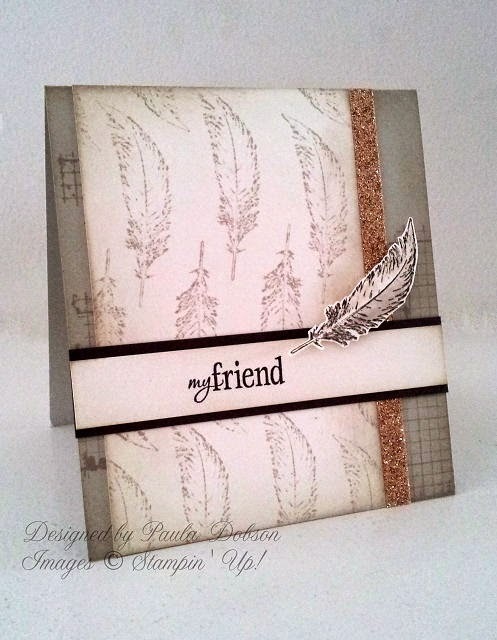 So when I needed a note card to send off with a gift for a friend, I reached for my Fine Feathers stamps. 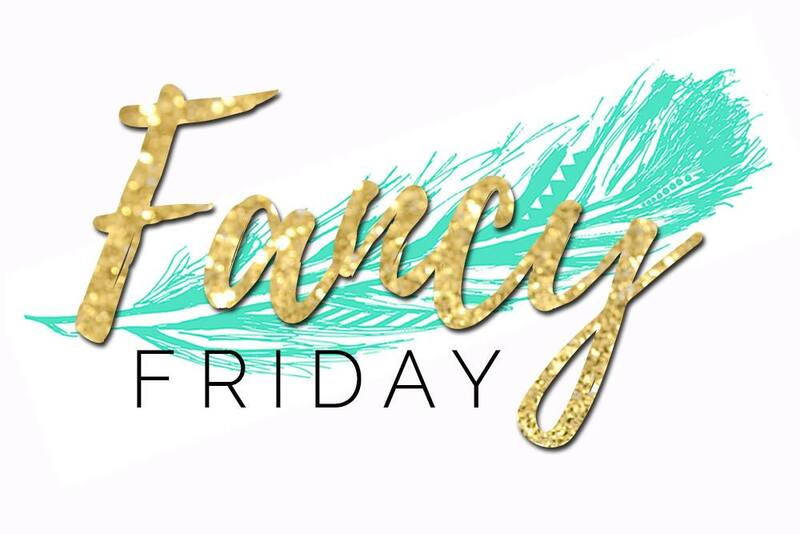 I kept the colour pallet neutral and the only embellishment I used was the Gold Glimmer paper (which is currently in the Weekly deals for a bargain! ), one fussy cut feather and a touch of sponging. I wanted it to look like a Quill pen, since it was also an indication of the contents in the parcel! 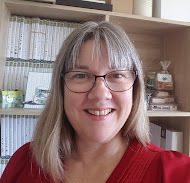 A very dear friend is celebrating her birthday today and I wanted to make something really special as she is a talented card maker in her own right. No pressure! 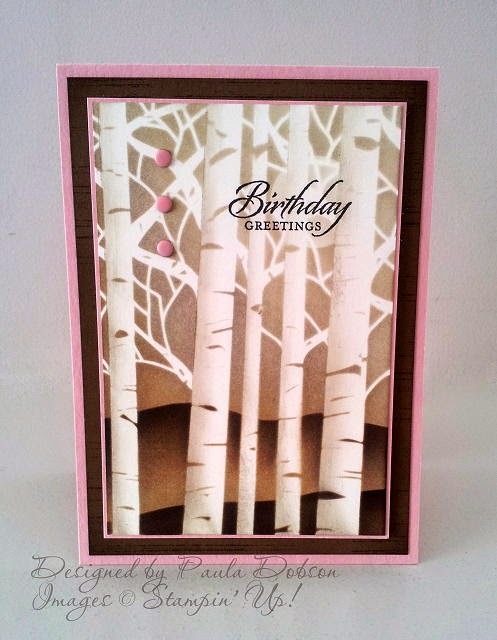 I chose to use a Birch Tree stencil to create this card and team it with my sponging, of course! While the image itself is not SU, everything else I used was, including the sentiment, which is from the Wetlands stamp set. 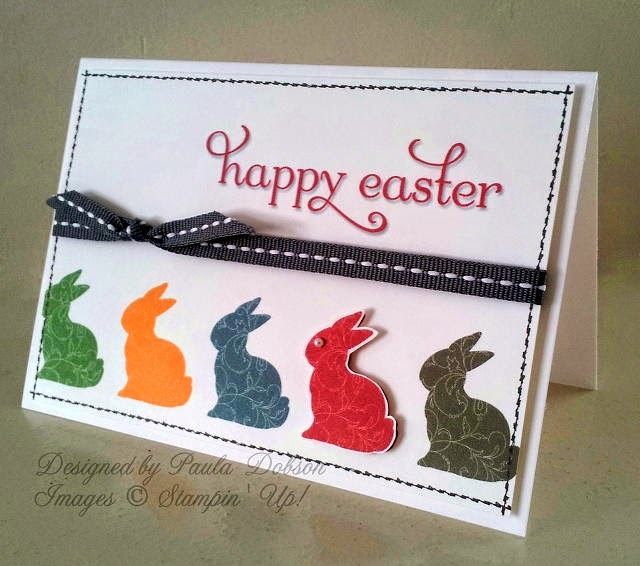 The team at Just Add Ink have a great challenge for you this week to just add an Easter Bag, Box or Basket. I really enjoyed this challenge because it is a great way to dress up naked Easter eggs, lol. 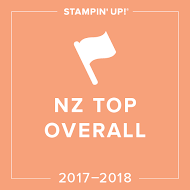 I recently participated in a stamp-a-long with Stampin' Up! home office staff on YouTube. 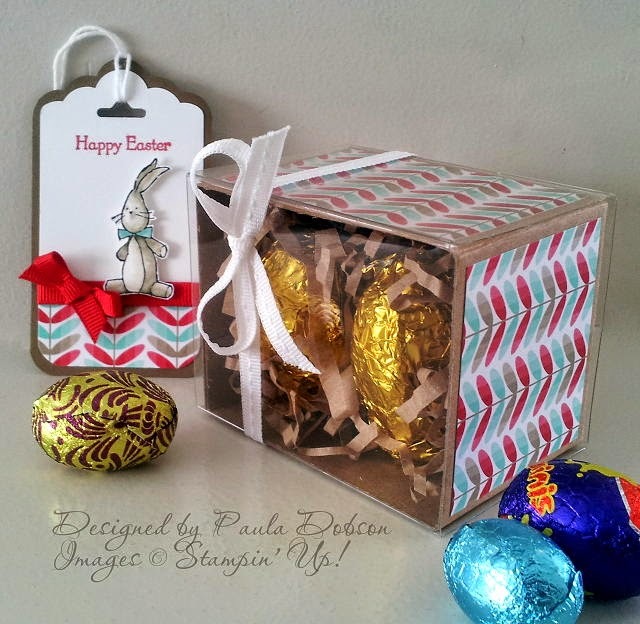 Pam showed us how to resize the box from the Tag a Bag Gift Box kits. I wanted to have a go myself and thought it was perfect for this challenge. Note to self: Listen to all instructions before beginning. I was going to make the smallest box, only I cut when I shouldn't have! Still, the size I did make holds two chocolate eggs, not one, so who's complaining, right? 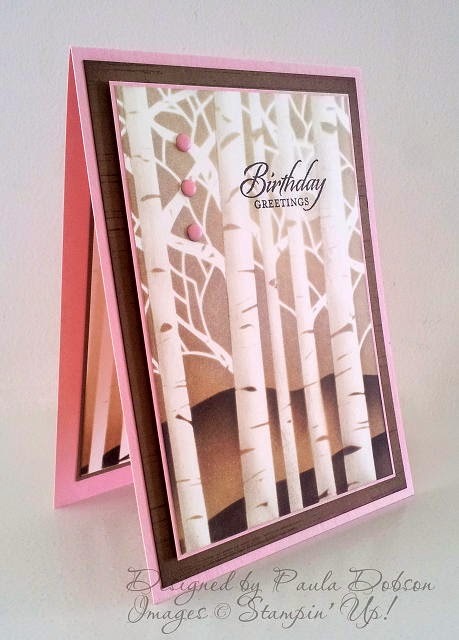 I used my Fresh Prints Paper Stack to decorate the outside of the box and just finished it simply with a white ribbon. 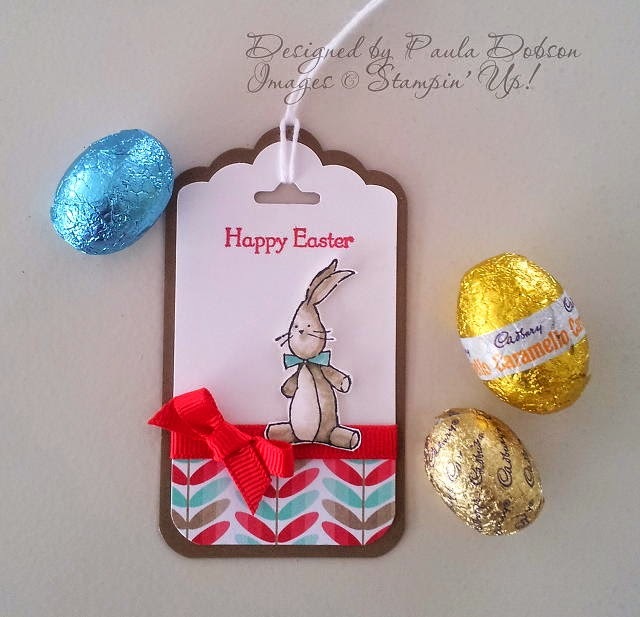 Of course, a gift box, bag or basket is never complete without a gift tag. 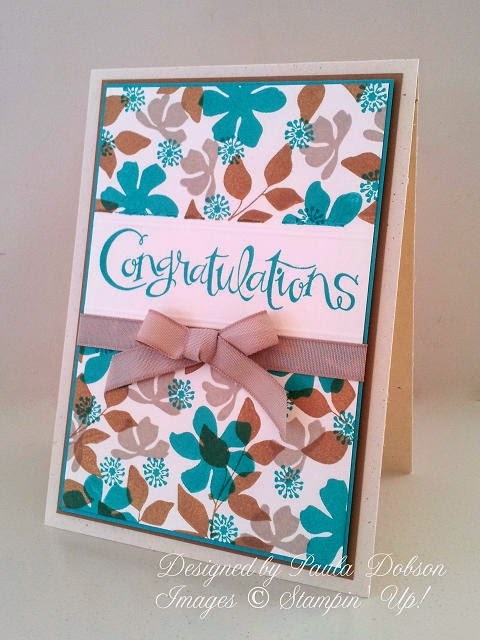 I used my new Scallop Tag Topper Punch to whip up this wee baby. I used Fresh Prints again and added a red ribbon this time. 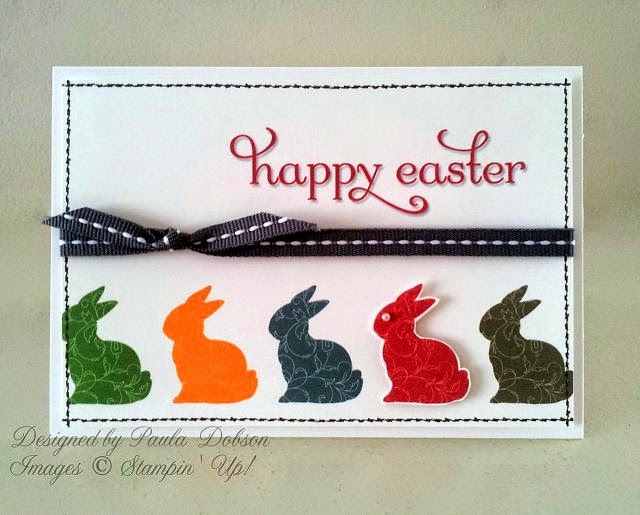 I coloured the wee Easter Bunny in the same colours from the DSP, cut him out and popped him up on Dimensionals. How cute is he?? I think this wee gift will be going to my MIL this Easter! 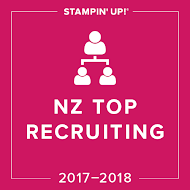 Just wait til you see what the Just Add Ink Design team have come up with. There are some seriously clever projects just begging to be CASE'd. Hopefully, you will feel inspired to add your own to this challenge and join in. We would love to see your projects. Here is the second card I came up with for the lucky Retiree. I have used the new stamp set So Very grateful from the Occasions Catalogue, and gently coloured the flower images with a Blender Pen. I used Black Staz On Ink to ink up my images so they wouldn't bleed while colouring in the images. I have heat embossed the sentiment in white to help make it pop on the darker card, but avoided using a sentiment that said "retirement" this time. 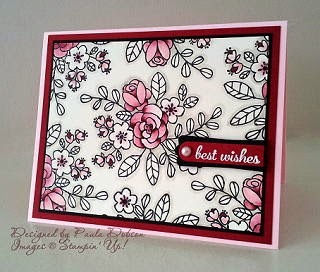 Best wishes was the next best thing I had in my stash and I didn't want them to all say the same thing! 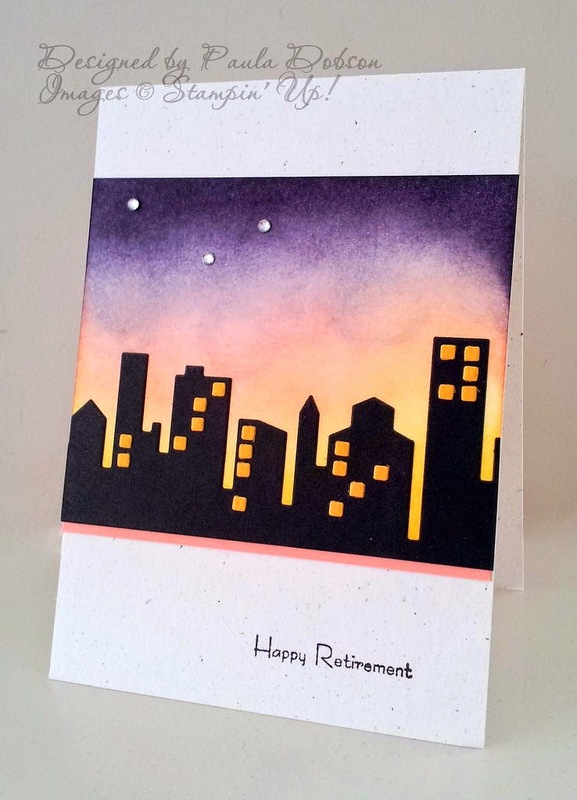 I received an order for six Retirement cards urgently, all for the same person! I have one stamp in all my stash that actually reads "Happy Retirement". I had to get creative with my sentiments and use whatever would work for that situation. Since time was short, I CASE'd four of the cards, but I did manage a couple originals and this was one of them.